Police in Florida have released dramatic footage of the moment one officer was dragged for over half a mile clinging to a car door. The policeman had been attempting to search the vehicle and its driver who was suspected of being under the influence of illicit drugs. 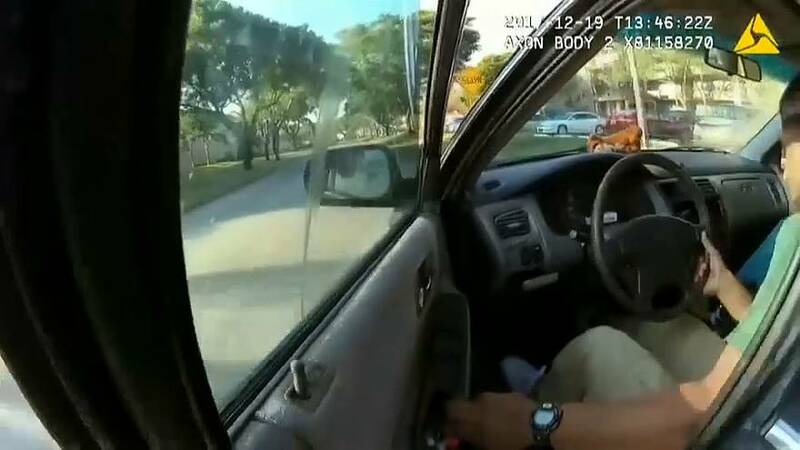 As Pembroke Pines Police Officer Jon Cusack approached the driver of the vehicle and asked him for his ID, the driver drove away with Cusack holding on to the car door. Authorities said Cusack grabbed hold of the car door in a bid to stop the driver who he believed was not in a fit state to drive. The entire incident was captured on Cusack's body camera. The Pembroke Pines Police Department shared the story on their Facebook page and YouTube account.